Shadow Lake is a beautiful natural freshwater 210-acre oligotrophic (very low nutrient concentrations, deep, supports cold water fishery and very clear water) waterbody with a Vermont Department of Fish and Wildlife public boat launch, Glover town public swim beach, about 109 seasonal and year-round homes, with an active lake association supported by a friendly community. Shadow Lake is located just off VT Route 16, in the Town of Glover, in Orleans County which is in the Northeast Kingdom (NEK) region of Vermont. 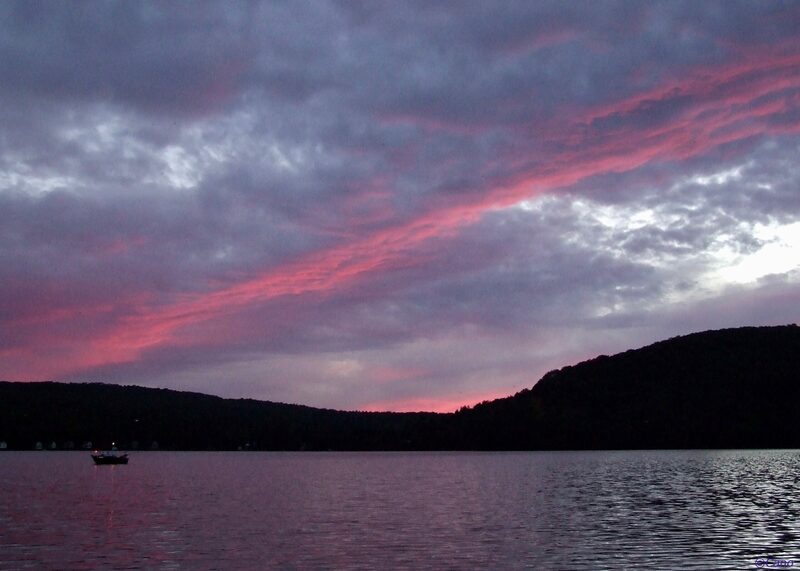 The NEK area encompasses almost 1/5 of the State with over 200 lakes and ponds. Glover has two incorporated villages, Glover and West Glover and two lakes of considerable size; Shadow Lake (210 acres) and Lake Parker (221 acres, in W. Glover) and several ponds; Daniel’s Pond (120 acres), Clark’s Pond (a.k.a Tildy’s Pond) and Sweeney’s Pond. The Town of Glover was chartered in 1783, to Gen. John Glover who served in the Revolutionary War and with his group of associates acquired 23,040 acres of land after the war. In the year of 1860, Glover town population was 1,250, in year 2010, the population statistics were 966. Shadow Lake is part of the Basin 17 Lake Memphremagog Watershed. Shadow Lake drains into the Barton River running northward through Glover to Lake Memphremagog which is shared with the province of Quebec, Canada. The majority of the lake is in Quebec while the majority of the lake’s watershed is in Vermont. Shadow Lake is at an elevation of 1396 feet (425.5m) above sea level. The lake area is 210 acres. The maximum depth is 139 feet. The mean depth is 55 feet. The volume is 11,550 acre feet. The highest elevation is the Black Hills, at 2,258 feet (688 m). Photo below. Below are a few interesting tidbits of history borrowed from a 1998 book by Marilyn R. Walcott, (a fellow Shadow Lake summer resident) entitled, ‘Shadow Lake Reflections’ about Shadow Lake beginnings and the many remembrances conveyed from the people who have loved this lake and enjoyed their cottages over the years. Shadow Lake has gone under at least six name changes. Esther M. Swift wrote in Vermont Place Names (the Stephen Green Press’s, Brattleboro, VT, 1977.) 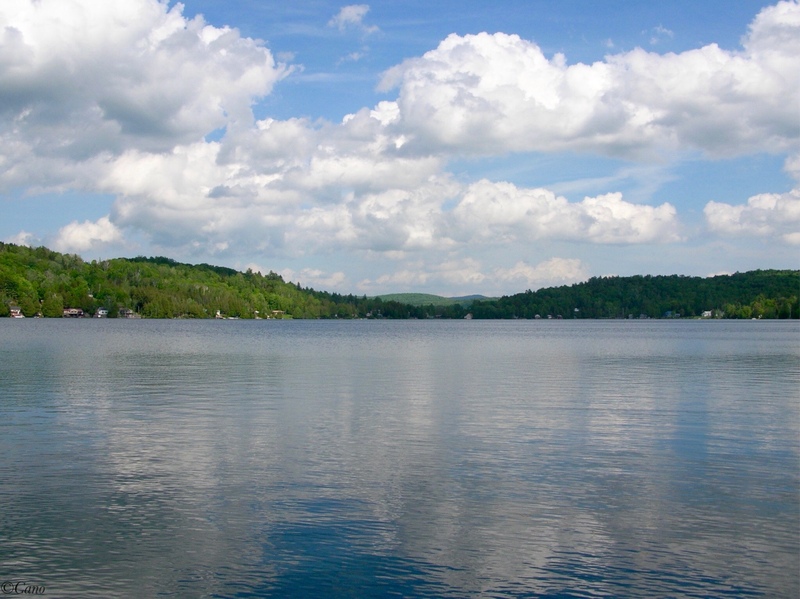 The Abenaki name for the lake was ‘Pekdabowk’, meaning “smoke pond”. The earliest settlers called the lake Chambers Pond, Silver Lake, Eli Grey Lake, and for almost 100 years the lake was called Stone Pond until it was renamed Shadow Lake in 1922. When Shadow Lake was known as Stone Pond, on Oct 4,1899 a U.S. hatchery station was erected. The then Comissioner placed 40,000 land locked salmon in the pond. 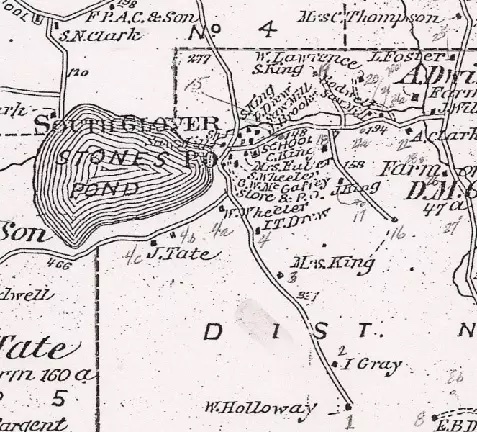 In the late 1800’s and early 1900’s there was a settlement at the end of Stone Pond (today Shadow Lake) near the outlet called “Slab City” in what was then called South Glover. The earliest camp building along the shoreline began in the late 1890’s but only 15 cottages were constructed before 1920. Today 109 cottages/residents dot the lake shore. 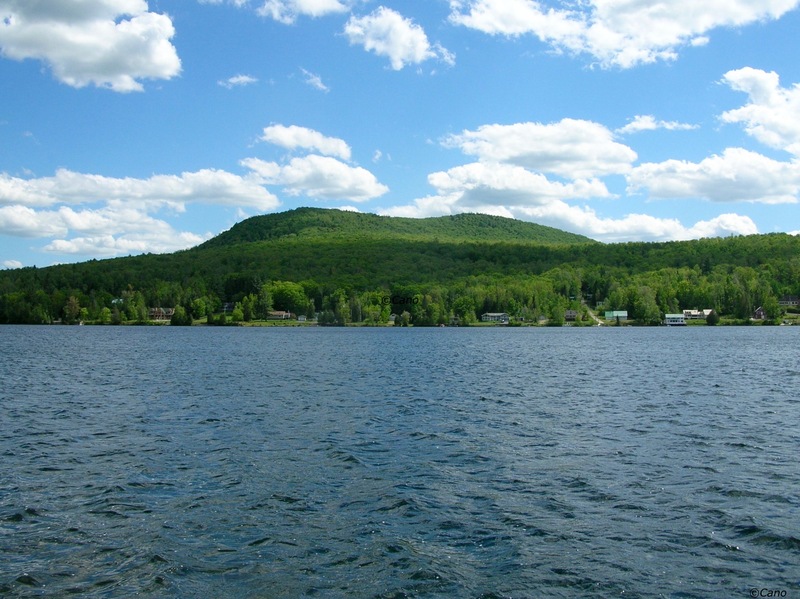 The public beach was established in 1939 and is located at 1212 Shadow Lake Road, Glover, VT. The beach is a very popular summer gathering place for local people and tourists alike, to enjoy the clean water and scenic beauty of the lake. Vermont Department of Fish and Wildlife began stocking fish at Shadow Lake in the 1960’s. In 1959-60 a VT State Fishing Access was developed on land purchased from Theodore Kambour, R.K. Lang and E.K. Sableski. The access was upgraded in 1991. For more information contact the Glover Historical Society. The first organizational meeting of the Shadow Lake Improvement Association was held in 1947. In 1960 a reorganization took place and the name became The Shadow Lake Association, Inc. (SLA) Our Association is a member-supported non-profit 501(c)(3) tax exempt organization dedicated to improving the understanding and management of Shadow Lake for its long-term environmental health. The current By-laws were adopted in 1980 and are presently undergoing revision. The members of the SLA are individuals and families who live around the lake. Our members are full time residents, seasonal residents and week-end residents. Some own lake front property, some own property with lake rights and some are community members or visitors who just love the lake. 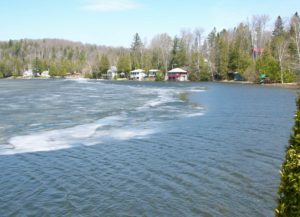 In 2003, The Shadow Lake Association, in partnership with the town of Glover, established a Boat Wash Station for Aquatic Invasive Species decontamination. Our one of a kind Boat Wash, conveniently located at the State Fishing Access, is the only hot water pressure wash station operating in Vermont as of 2015. 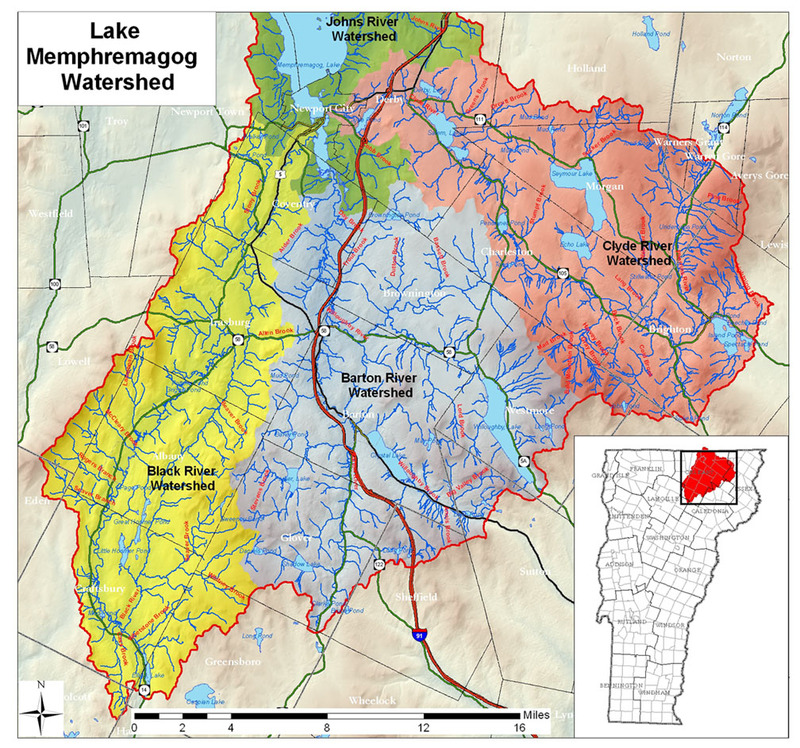 Lay Monitoring, conducting periodic lake water quality sampling, has been ongoing at Shadow Lake since the State program was established in 1979 and the Vermont Invasive Patroller program, monitoring for aquatic invasive species, began at Shadow Lake in 2014. Our Boat Wash is a state-authorized watercraft inspection and decontamination station located in the parking area of the state fishing access and is a free service for all to help prevent the spread of Aquatic Invasive Species. See our Act 67 AIS Transport Law Summary & FAQ’s webpage. Please use our Boat Wash to clean all boats, trailers, motors, anchors, canoes, kayaks, paddle boards, and all water related equipment to stop the spread of aquatic invasive species. We rely on annual funding from the Town of Glover and a grant from the State of VT along with the generous contributions from our membership and other concerned citizens who recognize the importance of supporting and maintaining this essential and critical program to help protect Shadow Lake. Anglers may have a greater likelihood of seeing Fishhook or Spiny waterflea on their equipment. Some useful tips for anglers include changing fishing line and tackle when moving from one water body to another and carefully inspecting and removing any debris from fishing gear (including rods, spools of fishing line, nets, and downrigger cables). All boaters should focus on draining bilge water safely away from a waterbody and checking anchor lines as they are likely vectors that spread the crustacean species. Hot water, high pressure disinfection of boats and all equipment that are in contact with water bodies known to contain Fishhook or Spiny waterflea is recommended. There are no known control technologies to eliminate either ‘waterflea’ species or Zebra mussels once established in a water body! A Reminder To Anglers: Get The Lead Out! 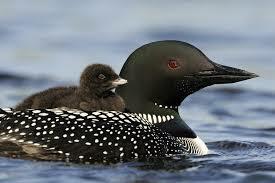 Common Loons Are Continuing Their Astonishing Recovery- In one of Vermont’s most striking conservation success stories of all time!